John trained individually with Marshall Rosenberg in Switzerland in the summer of 1999, and became a CNVC Certified Trainer in 2000. He has facilitated trainings in a number of settings, most notably the Waldorf School movement. 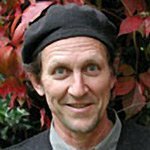 John currently teaches a three day home school program for ten and eleven year olds in Nevada City, California, where he integrates the awareness cultivated through Nonviolent Communication with a Waldorf informed curriculum and pedagogy.